A former university student, who I taught almost 20 years ago emailed me recently. She asked for some information on a curriculum idea - the 'Text Set' - that I had developed in the 1980s, and which she recalled me talking about in classes. When I tracked my only written reference to it in my book 'Pathways to Literacy' (pp 92-93) I thought I'd do a blog post on it. I wondered at first whether it might be less relevant now because the idea was developed in the 1980s when the Internet was just being conceived for mass use - 'Google it' wasn't part of our vocabulary! In a way, the text set in the hands of the teacher, offered a teacher selected Google search in a box. I have no idea who had the idea first, but the stimulus for my development of the concept was seeing something like it in a classroom linked to Professor Jerome Harste's Graduate research program when I was working with him as a postdoctoral fellow at Indiana University (Bloomington) in 1984. My own work on 'Intertextuality' (I'll do a future post on this topic) also informed its development. 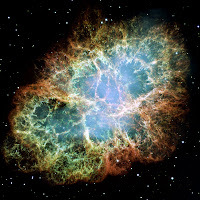 Why would you like to travel into space? Write about one interesting astronaut (where did he grow up, why did he become an astronaut, where did he train, what has he done as an astronaut...?). What part do animals play in space travel? You can supplement tasks like the above with complementary skill sheets that reinforce specific study and research skills that you have been teaching your children (I've listed a helpful link for doing this below). Children don't learn literacy in a neat serial way. While in the first few years of life their literacy acquisition (at the written word level) tends to be additive, they learn a few letters, some sounds, then some words etc, once the foundations of literacy are laid, progress explodes and development occurs in multiple directions. As well, the development of literacy and their growth as learners and laguage users becomes increasingly intertwined. As children learn about literacy and language, they learn through literacy, their world and themselves as people (see my previous posts on the 'Power of literature'). Where do I find the information that I need? How do I identify the information that relates to my topic? How do I judge the relevance of information and its truth and accuracy? How do I make notes in my own words not just copy slabs of text? How do I synthesise the information and present it in a form that others can access? Children need help with all parts of the research process and they need to learn these things as they do research. The 'Text Set' is a way to introduce children to the research process in a controlled way. It works well with children as young as 6 years. Obviously the texts that you choose will need to be appropriate for 6 year olds (which will be a challenge). I should comment that applied linguists don't necessarily like a strategy like this one that encourages children to use varied written genres (or forms), because they believe that it can lead to children writing in hybrid forms rather than (for example) a traditional expository form. My view is that you can let them use varied writing to learn and you also teach them specific written genres like exposition as well. The great value of the 'Text Set' is that it allows you to present children with multiple written genres which then act as resource for students to explore the topic. The approach also capitalises on the natural process of intertextuality, where children make connections between the things they read, hear, see and experience. The aim is to stimulate their interest as learners and to use a varied range of textual resources to help them along the way. Why not just do a web search? As I've already said, the 'Text Set' is a bit like a Google search in a box, so why not just do the Google search? Couldn't you just give your students a web link that directs them to a prepared list of resources online? Yes you could and it may well achieve some of the same outcomes, but the library will have resources that you can't get online and it offers more control for the teacher of the learning process and the chance to teach study and research skills along the way. My view is that the Google search for the young child will often have as its focus searching to find information, rather than reading to learn. As well, we know that readers behave differently online - they tend to 'bounce around' almost randomly, there are quick decisions based on a few words in a link, and the behaviour is rather volatile. The skills required for online literacy are different to traditional study and research skills. A more controlled strategy like the 'Text Set' allows a more systematic treatment of basic research skills that require careful sifting of information, considered judgments about the quality of the content, and organization of what is being learned not just cutting and pasting other people's information. While children will learn some of these as they explore the Internet themselves, they won't necessarily acquire the research skills without teacher help. 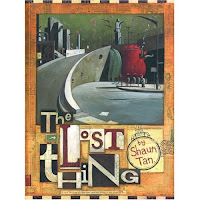 Shaun Tan has helpfully provided a description of himself that I've used as the basis of my summary. His website indicates that he was born in 1974 and grew up in the northern suburbs of Perth, Western Australia. In school he became known as the 'good drawer'. Later he studied at the University of WA and graduated in 1995 with joint honours in Fine Arts and English Literature. He currently works full time as a freelance artist and author in Melbourne. Tan began drawing and painting images for science fiction and horror stories in small-press magazines as a teenager, and has since become best known for illustrated books that deal with social, political and historical subjects through surreal, dream-like imagery. Many of his books have been widely translated throughout Europe, Asia and South America, and enjoyed by readers of all ages. Tan has also worked as a theatre designer, and as a concept artist for the films 'Horton Hears a Who' and Pixar's 'WALL-E'. He is currently directing a short film with Passion Pictures Australia. "They are best described as ‘picture books for older readers’ rather than young children, as they deal with relatively complex visual styles and themes, including colonial imperialism, social apathy, the nature of memory and depression." "Tan's books, while marketed as children's, tend to explore quite complex issues. Yet they manage not to alienate younger readers, rather challenging them to develop empathy and (perhaps more realistically) better visual literacy skills.......Whether a child is up to the challenge of Tan's picture books is, of course, a decision for parents and teachers..."
Most of Tans books have themes and issues that are well beyond most young children but visually they can capture the interest of readers of all ages. Below I have provided a detailed description of his latest book highly acclaimed book, 'Tales From Outer Suburbia' and a brief description of his other books. They are presented in reverse chronological order. 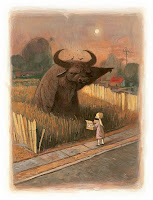 Many see Shaun Tan's latest book as the pinnacle of his work. 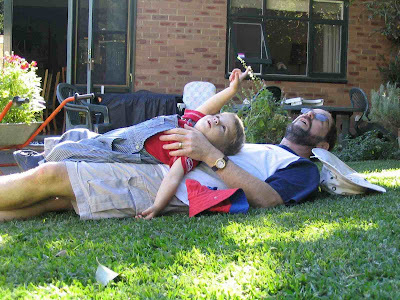 'Tales From Outer Suburbia' won the 2009 Children's Book Council Australia award for 'Older Readers'. Tan is the first author/illustrator to win this section of the awards; an illustrated book has not won previously. This is a remarkable work from a remarkably talented illustrator, who in this book shows us that he can also write; something that some critics have doubted in the past. It is an anthology of fifteen very short illustrated stories. Each is about a strange situation or event that occurs in suburbia - a visit from a nut-sized foreign exchange student, a dugong that appears on someone’s front lawn, a new mysterious room discovered in a family home, a description of what happens to all the poems that people write, a grandfather's puzzling story about his wedding, a wise buffalo that lives in a vacant lot and gives directions. Central to each story is how ordinary people react to and make sense of these experiences. "Tan breathes life and wonder into each story using his trademark illustrative style to increase meaning and enjoyment.....'Tales from Outer Suburbia' is an immense achievement. I love this book too. Perhaps the kid in me loves the absurdity of the stories. The first story sets the tone for the book. It tells of a water buffalo in a vacant lot at the end of the street. He would slowly point people in the right direction, "But he never said what he was pointing at, or how far we had to go, or what were supposed to do once we got there." This is the type of silliness that my grandchildren fall about laughing at when I tell them stories - the mysterious, the ridiculous, the confusing, the "I don't get it" story that intrigues. One of my favourites is "Broken Toys". Two children meet a 'crazy' person wandering down the street in a 'space suit' (well, a deep sea diving outfit). For fun they direct him to the house of another mysterious and misunderstood person in their street, 'Mrs Bad News', a strange Japanese lady. The outcome of their stunt has a surprising outcome. What child hasn't had a 'crazy' person down the street? I did! The fear of the 'other' is a real human fear as we grapple with difference and try to cope with people not like us. This is a theme that seems dear to Tan's heart. It makes a reappearance in 'Eric' the story of an exchange student who lives in the narrator's house, does unusual things and disappears mysteriously leaving something just as interesting behind. It is back again in the guise of class difference in 'Our Expedition' and then terrorism and war in 'Alert but not alarmed'. At times I think that Tan tries just a little too hard to make his ideological points, but as soon as I start thinking this, I'm forced to smile at the next absurdity and his sheer cleverness. My favourite 'story' is his graphic collage of writing fragments as he explores the question "what happens to all the poems people write?" You'll need to read the book to find out; I'm not telling you! I can see bright boys (and girls) aged 10 plus loving this crazy, whimsical and thoughtful book that tries to do new things with Tan's special brand of image and word playfulness, rare creativity and delightful illustrations. 'The Arrival' is a 128 page sepia-toned, photo-realistic picture book that tells the story in images of a man's migration to a foreign place. He experiences temporary separation from his family, bewilderment and loneliness as he tries to make sense of his new home. The absence of words, along with the mix of real and at times surreal images, evokes a sense of how the man might have felt in a new place where everything seems strange including the people, food, animals and language. 'The Lost Thing' is a humorous story about a boy who discovers a bizarre-looking creature while out collecting bottle-tops at a beach. Having guessed that it is lost, he tries to find out who owns it or where it belongs, but the problem is met with indifference by everyone else, who barely notice its presence. Each is unhelpful in their own way - strangers, friends, parents are all unwilling to entertain this uninvited interruption to day-to-day life. In spite of his better judgement, the boy feels sorry for this hapless creature, and attempts to find out where it belongs. 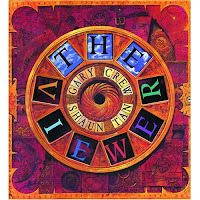 Known for his horror stories, 'The Viewer' was written by Gary Crew and illustrated by Tan. It tells of a boy whose obsession with strange artefacts leads to the discovery of an unusual and mysterious box at a dump. It turns out to be an ancient chest full of optical devices. One of these captures his interest. It is a complex mechanical device that carries disks of images. These carry scenes of violence and the destruction of civilisations over time. The boy is scared, but cannot help himself and looks into the machine. In 'The Red Tree' Tan uses a balance of simple words and his usual detailed and exquisite illustrations to address the sensitive topic of depression. This is not your typical childhood topic, but as I said above, Tan is writing for older readers, and sadly depression is very much part of the life of children and adolescents. The story essentially follows the life of a little red-haired girl, her everyday feelings and her realisation that life can be difficult. Almost unnoticed in his illustrations is a small red leaf (perhaps symbolising hope) that recurs. The story ends with the girl standing and smiling at a flourishing tree with red leaves growing in her bedroom. 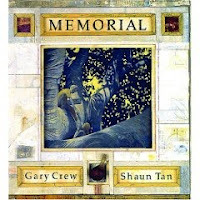 'Memorial' is a beautiful picture book written by Garry Crew and illustrated by Shaun Tan. It tells the story of a tree planted by returned servicemen near a war memorial monument, in a small country town. Years later the tree has grown to be very big and is a problem as it begins to damage the statue next to it, creating a traffic hazard in a part of the town that has grown more busy and less tranquil over time. Tan uses a very organic style against varied backgrounds (including hessian bags and picture frames) and the recurring tree in brilliant colours. The text raises many questions beyond the basic dilemma of whether to cut it down. What place do memorials play? Do those who view a memorial recall memories that it is meant to honour? And what is the consequence for the loss of such links to our memories and our lives? What price the past when compared with the future? 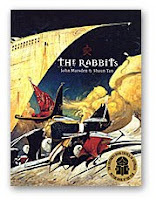 'The Rabbits' is written by John Marsden and illustrated by Shaun Tan. While John Marsden is one of Australia's best writers of adolescent fiction, the text in this graphic novel doesn't quite reach the heights of Tan's illustrations. The story depicts Australia's white settlers as rabbits. This none too subtle use of metaphor is a little obvious even for children. Its message is a retelling of the 'stolen generation' in Australia, the practice of removing Indigenous children from their parents when the family was seen as dysfunctional. This occurred from 1869 to 1969. The illustrations are wonderful and have the usual Tan creative mix of styles and techniques. In this book he uses some wonderfully drawn landscapes, collages and more 'graphic' stylised images for the rabbits. It is a mix of light and shade, colour and 'darkness'. 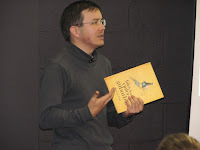 'The Haunted Playground' (2007) was written and illustrated by Shaun Tan. 'The Deadly Doll' (2007) was written by Janine Burke and illustrated inside the book by Shaun Tan (not the cover). Shaun Tan has won many awards including being the first Australian to win the International 'Illustrators of the Future Contest' in 1992. His collaboration with John Marsden on 'The Rabbits' won the 1999 Children's Book Council of Australia (CBCA) Picture Book of the Year Award. 'The Memorial' was an Honour book in the CBCA picture book category in 2000. 'The Red Tree' was an Honour Book in the CBCA awards in 2002. In 2007 he was named Best Artist at the 'World Fantasy Awards' in New York for his 128 page wordless picture book 'The Arrival'. The same book won the CBCA picture book of the year award in 2007, as well as both West Australian Premier’s and New South Wales Premier's Book of the Year Awards. And of course this year 'Tales from Outer Suburbia' won the CBCA award for 'Older Readers'; another first. How do we learn to spell? How do we learn to spell? Can most adults who are able to spell at proficient levels in developed countries thank their teachers for the weekly spelling lists they helped them to memorise each week (with parents drilling them each day at home)? The evidence would suggest NOT, as it would be impossible. It is difficult to know how many words an adult can spell, but if we accept estimates that an average person has a vocabulary of 100,000 (see Stockwell & Mincova, 2001), then we could estimate that many adults can spell a minimum of 50,000 words correctly. Now let's assume that each child has continuous spelling instruction using list based processes for 12 years across the typical 40 week school year. At 10 words per week (a common number) they could learn 4,800 words in their educational career. At 50 words per week (i.e. 10 NEW words learned each day) they could learn 24,000 words in their school career. Even if there were no loss of the ability to spell these words (which does not match our understanding of how memory works), they would learn less than half the number of words that the average adult can spell. While spelling bees can be fun, and can heighten the awareness of the need to spell, and while list-based memorisation of spelling words is good for learning irregular words that don't conform to general rules, it falls well short of what we need to be good spellers. What's required to be able to spell? The only way that children will learn to be effective spellers is by being immersed in a rich language environment that supports them as readers, offers them many varied opportunities to write and encourages an environment where it is natural to explore words and 'play' with them. There are many skills that children need to learn that eventually they can apply as part of writing for varied purposes. Here are 10 basic skills that spellers need. 1. Understanding basic alphabetic concepts – knowing that written symbols (graphemes) stand for individual phonemes. For example, that the letter 'b' represents the initial sound in ‘but’. 2. Understanding variations in grapheme/phoneme relationships (i.e. sound-symbol correspondence) - For example, knowing that the phonetic vowel sound ‘au’ (as pronounced in cow) can be represented differently as in ‘now’, ‘out’, or even ‘plough’. 3. Using syllabification – a syllable is a unit of organization for a sequence of speech sounds. For example, the word ‘over’ is composed of two syllables: ‘ov’ and ‘er’. Breaking down difficult words into syllables is an effective strategy for learning and remembering how to spell words. 4. Learning spelling rules or patterns – that is, knowing that there are regular ways that English spelling works. For example, the letter "i" comes before "e" except after "c" (relief, field, tried, but not receive), or when a word ends with "y" preceded by a consonant, you form the plural of the word by changing the "y" to "i" and adding "es" (lady becomes ladies). 5. Memorizing highly irregular words (sometimes called ‘sight words’ in reading) – these are words that are unusual and don’t match normal rules and patterns. For example, once and couple. These words generally have to be memorised. 6. Decoding skills - This involves being able to sound out words (and hence spell them) by using knowledge of sound symbol relationships, i.e. matching the graphemes in the word with phonemes ('sounding out' the word). This is the same skill used to read new words. 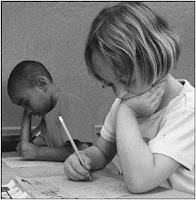 In a sense (not completely), spelling is the reverse of reading, the child knows the word as part of vocabulary and has to remember the correspondences in their mind and write them down. 7. Using whole word strategies – this begins with us trying to write a word. As we attempt initial sounds, or even write the whole word, it may not 'look right' based on our gestalt (holistic) memory of the word that we may have encountered in the past. Readers use these same skills to recognise words when reading. 8. 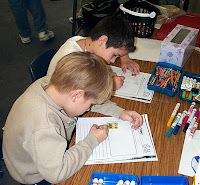 Using context and meaning – writers have to use knowledge of the world to choose the right word to use in a sentence. For example, choosing ‘bough’ to write in the sentence “I cut the bough of the tree”, not “bow”. 9. Using associations or connections between words - some refer to this as using analogy to spell. In essence it requires the child think about words mentally and use associations between words to remind them how to spell (more later on this). 10. Using syntax and grammar – writers need to apply knowledge of language syntax to make some spelling choices. For example, using “there” in “I put it over there”, not “their”. How do children learn all of these skills? While the above represent the major skills that we use to learn, recall and spell 50,000 plus words, how are they acquired? Many of the above skills have their foundation in everyday language and literacy practices. As we read, we also acquire some of the skills we need for spelling, such as alphabetic concepts, phonological awareness, sound/symbol relationships, whole word recognition skills, syntax and the use of context to predict meaning. Similarly, the act of writing also provides an opportunity to learn spelling skills as they write. Even as we read to toddlers we are pointing to words and language devices that in a sense is the beginning of spelling awareness (not just reading). But as children grow older, there are a variety of strategies that teachers and parents can use to support spelling development. I will share just 6 below. This is a strategy for trying to spell unknown words as part of the writing process (ideal for children aged 6 years and older). Teach your child (or children) to apply the following strategy when they need to spell an unknown word. Ask yourself, have I seen it before? Say the word out loud and try to predict how many syllables you can hear. Ask do I know any other words that sound almost the same? How are those words spelt? 'Have a go' (Aussie vernacular for trying to do something) at the word. Ask yourself, does the word look right? Have additional attempts at getting the word right. This is a strategy that you can teach children of any age (who have started to write) to acquire new words. It has three simple steps. Step 1 - When you need to remember how to spell a new word look at it, say it out loud, examine the number of syllables, any unusual grapheme/phoneme relationships etc. 3. Here is a collection of self-help strategies - children as young as 6 can be taught to try to learn new words. After covering the word try to picture it in your mind. Uncover the word and trace the letters, cover and try again. Look at the new word, break it into syllables. After studying the syllables cover the word and try to write it. Look at the new word and try to memorise the most difficult part of the word (e.g. the 'ght' in sight). Check your writing environment for the word, or one like it (wordlists, other writing, dictionaries etc). Many young children will benefit from an approach that presents words in sets that have similar phonological elements. For example, you might present your children with a group of words ending in 'ight', that begin with 'thr' etc. You can have fun forming the lists with your child (or children), writing them down, then trying to remember them. 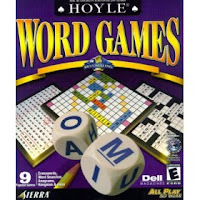 There are many good spelling games that support this type of approach (you can read more about these games here). For some words a meaning-based approach will help writers. This starts with the parent or teacher pointing out a morpheme within a new word, explaining the meaning, then analysing a set of words. For example, a word like 'unexpected' can be broken into two elements, 'un' and 'expected'. Discuss with the child or children what 'expected' means and then explain the meaning of the prefix 'un'. Have the child think of other words that fit this pattern and then write them down. Depending on the age of the children you might even go further with an example like this and break it into 'un', 'expect' and 'ed'. In this instance you would also consider how the suffix 'ed' changes the meaning of the word. You can find a good resource for basic Latin word elements here. There a variety of online resources that aim to help children learn more about spelling. Many are simply ways to memorise lists of words but this is one strategy for learning new words. An advantage of online resources is their appeal for young children and the instant feedback that children receive. 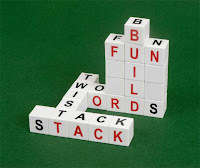 One useful site is Kidsspell.com (here) that offers varied wordlists, a free spellchecker and thesaurus, games to play etc. You can also find sites that allow children to apply strategies like the ones I have described online (see for example application of 'look, cover. write' on this site). You can find other games and activities at 'Games aquarium' (here) and others on the Kent Junior High School site (here). But remember, spelling is much more than learning lists and playing online games. In an age of spellcheckers some argue about whether spelling is as important as it once was, but this of course is nonsense. Spelling is an integral part of reading, writing, speaking and listening. It is learned as we use language for real purposes. But it isn't simply 'caught'; there is an important need for teaching. Most of this 'teaching' does not occur through memorising lists of words, but rather as we draw children's attention to variations in the English language, simple rules for spelling, strategies for getting words right, tools for seeking correct spellings (I haven't even mentioned being able to use tools like dictionaries), as we offer them new knowledge about how our complex language works, and as we simply use and 'play' with words. My previous post on'Twenty Fun Language & Thinking Games for Travellers' has some relevant activities that could be adapted (here). My last post was titled 'Getting Boys into Reading Through Non-fiction'. In that post I explored the use of magazines, the Internet, factual books, joke books, 'make and do' books, graphic novels and comics. In a sense, what I was doing was stressing that there are pathways into literacy other than narrative-based books. In this post I want to focus on a few non-book pathways to literacy. Most could be labelled 'environmental print'. In a book I wrote in the early 1990s - 'Pathways to Literacy' - I considered the alternative pathways that some families use to usher their children into literacy. I pointed out that while narrative is critical to literacy development, that introduction to many literacy practices, especially concepts of print like letters, words and symbolic representation of language comes for many children (at least initially) through non-book pathways. For example, my father used an enamel plate that had the letters of the alphabet around the rim to teach me letter names and sounds as we ate breakfast. While parents read books, tell stories and relate life experiences in narrative forms right from birth, they also begin to draw attention to print and the functions of literacy using many varied sources of written language in the child's world. 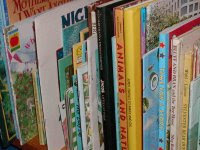 In this post, I thought I'd mention just a few such non-book sources of early literacy learning and how we draw children's attention to it. This is another area where we can help boys to get a start in literacy using everyday experiences. 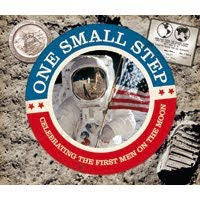 Environmental print - children (especially boys) love to explore space. We can use time spent outside for reading purposes as well as fun and exercise. Give a boy an oval and he'll run around every square inch of it, climb every object and crawl under and over every fence. Wherever children are exploring it is easy to draw attention to print and symbolic representations on signs, food wrappers, digital displays, clothing and so on. Point to words, trace the letters, explain what the sign means etc. Use writing - another valuable way into reading is via writing. 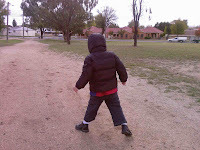 Encourage boys to write in varied forms (letters, numbers, their name, words etc). You might get them to dictate labels for a drawing, a caption for something they've made, a letter or email to one of their grandparents or a friend, label their toys, or shelves in their wardrobe, the words on a birthday card and so on. My grandson Jacob (aged 6) is an avid reader; the example opposite shows his drawing of some things he saw on holidays and his labelling of them. From a very young age his parents draw attention to print in his world and encouraged him to write. Television - from about 2 years on most children will enjoy watching television. As parents you will no doubt moderate the amount of TV viewing (see one of my previous posts on this here), but most children will watch some television. For the young reluctant book reader, television can be a good springboard to various forms of reading. Programs that require children to do more than just watch are best. Programs like 'Playschool' in Australia encourage children to listen, watch, sing, dance, move, repeat actions, read simple words etc. Once again, as part of the child's viewing, interact with them directing attention to words, talking about symbols etc. Don't turn this into a lesson; instead use it as an accompaniment to the viewing. Computers - digital representation of language and numbers (e.g. automatic teller machines, digital displays on appliances, computer games, electronic signs) are now one of the most prevalent sources of print in most children's worlds. Children will very quickly notice the words and numbers that light up before them, that move, change colour and are often associated with sound and images. As children observe parents using computers, watch you punching in passwords at the supermarket, observe the dashboard display on the car etc, it is natural and easy to draw their attention to the symbols and talk about what they are for. Remember that the above practices are still relevant after your children have learnt to read and write. Look for new ways to teach them new words, unusual uses of language, devices used to convey meaning, connections between the language and texts they read, write and views. There are endless opportunities to do this in the midst of everyday life and activities. This is how we stretch our children and help them to learn new things about language and their world. Here are some previous posts that are related to the topic of this post.